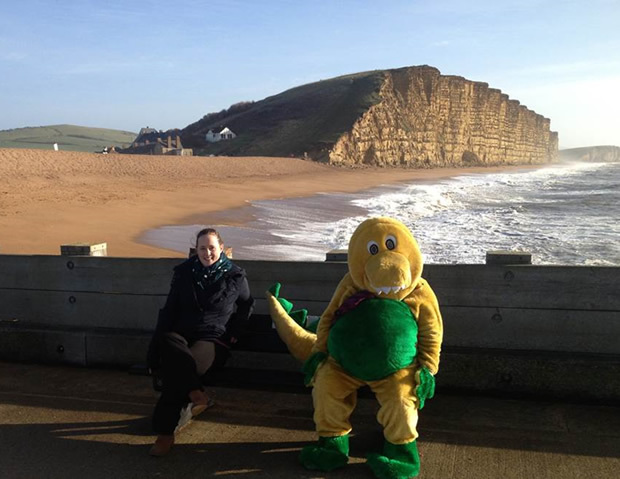 Detective Dino and Clare have not been sitting around all winter they have made it out of hibernation to take a look around “Broadchurch” otherwise known as West Bay after hearing the hype from Dino Dan! If you are watching it can you recognise the locations? Did you spot Golden Cap along the cliffs of Charmouth and beach huts in the first episode? It certainly has everyone gripped here at Newlands. If you missed it catch up on iPlayer by clicking here. Don’t forget the park is just along the beach from West Bay – so why not visit the Broadchurch film location whilst staying with us.